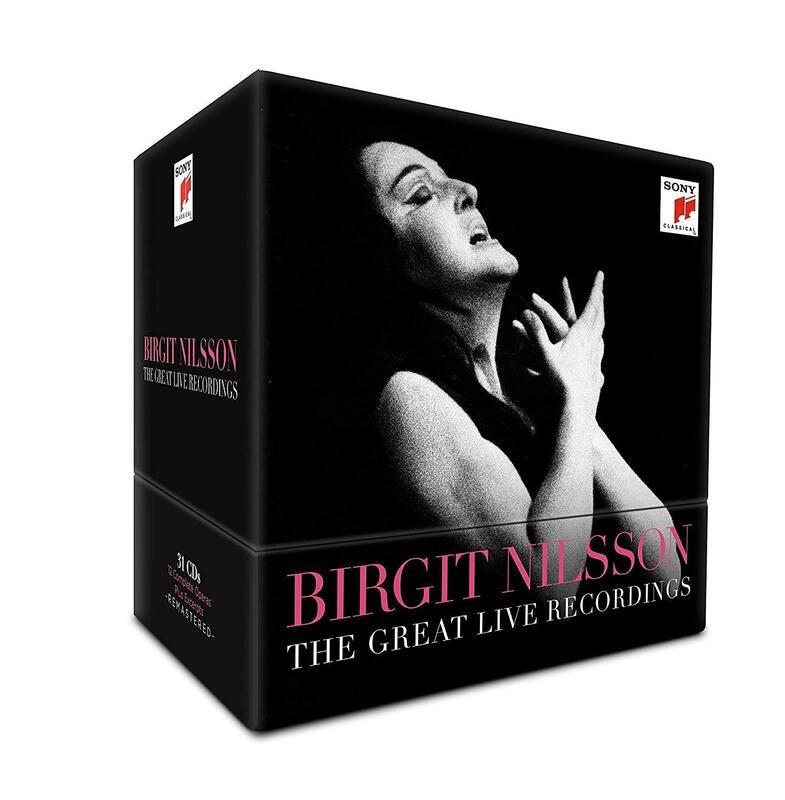 Birgit Nilsson was born 100 years ago, on May 17, 1918, at her parents’ farm in Sweden. By her death in 2005, Nilsson had long been considered the world’s preeminent soprano for the operas of Wagner and Strauss. She received the highest fees wherever she sang – be it Stockholm, Vienna, Milan or New York – because there was nobody else like her. Nobody could do what Nilsson did. Have you ever been punched in the nose? Have you been shot in the head? I haven’t either, but take away the pain and the death, leave the sensation, and you get an idea of hearing Nilsson sing live in the theater. Hers was an enormous, silver sound that enveloped the hall and two or three blocks in every direction, wherever she was. That’s not to say she was just loud. Loud is easy. Being loud has nothing to do with being an artist. Her voice carried. It encased a Wagner-sized orchestra. You could get lost in that voice. As the sound swept through the hall, it carried you along, into the story, the drama, the music and the night. I heard her in the theater. I’m here to tell you: Nobody could do what Nilsson did. Sony Classical has just issued a 32-CD set of some of Nilsson’s most acclaimed live performances. She made hundreds of studio recordings. She cared for very few of them. In the late 1950s, as stereo came in, sound engineers were more interested in the glories of the orchestra. Even Nilsson could sound recessed. The live performances, from Bayreuth, Stockholm, Vienna, France and the Met, have imperfect sound. But there’s Nilsson, front and center, where she deserves to be. There are two performances each of Tristan und Isolde and Elektra. We hear her Salome from New York and Fidelio with Leonard Bernstein performed in Rome (their only collaboration). Herbert von Karajan conducts Die Walkure at the Met. With Karajan, the lady had a tolerate-hate relationship. Karajan could conduct like a dream. He could also be strangely ambivalent. He insisted on staging his own productions and loved nothing more than a dark stage. Nilsson came to one rehearsal wearing a miner’s helmet. “I could go out for a coffee during one of your productions, and no one would ever know,” she told Karajan. No, this was not a love story. Also included here is Puccini’s Turandot, a Nilsson specialty, performed at the Met in 1961. Leopold Stokowski conducts. Her tenor is Franco Corelli. He was the only tenor who could match her in decibel, with a magnificent voice. Turandot and Calaf have a vocal duel in Act 2. I’ve been trying to give away some of my recording stash. There’s only so much room and so much time. But I ponied up for this 32-CD set of Nilsson’s live recordings. I’m glad I did. Wagner in Swedish can be thrilling. Wagner with Nilsson in German is definitive. She’s partnered by greats, too – Karl Bohm, Leonard Bernstein, Herbert von Karajan (yes), Leonie Rysanek, Jon Vickers, Wolfgang Windgassen – many names dear to opera-lovers going back 60 years. No name is more revered than that of Birgit Nilsson. These recordings will tell you why.